Wendy found some more interesting old pictures in some boxes. I scanned a few. 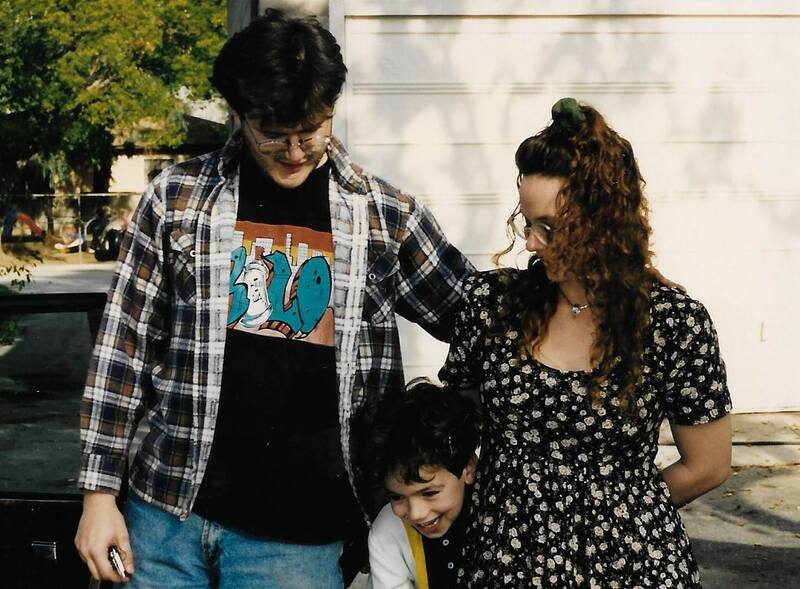 In 1994, Michelle (my wife, who died in 2000), Jeffrey (my stepson, who is now 31 and lives in Seattle) and I drove from Minnesota out to California, and stayed with my dad (Phil), Wendy (my stepmom), Andrew (my brother) and Eugene (an exchange student living with them at that time). We spent Christmas in Temple City, California. 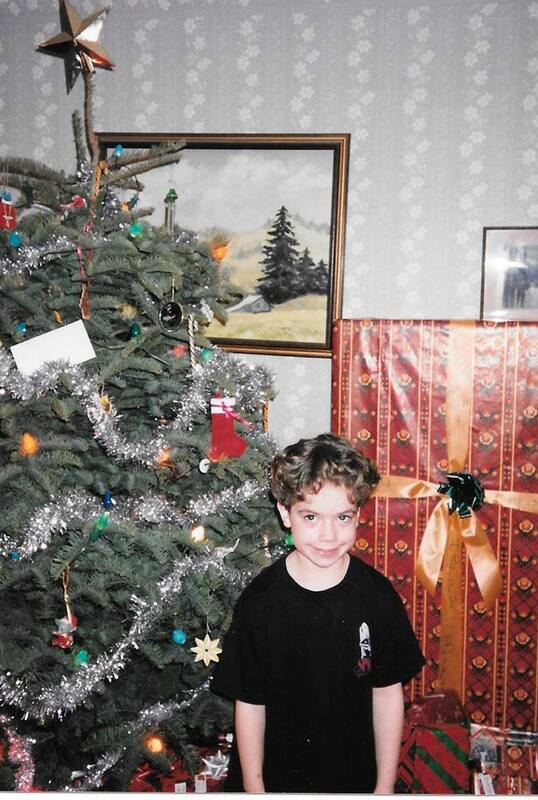 Here is Jeffrey (my stepson) at age 7. 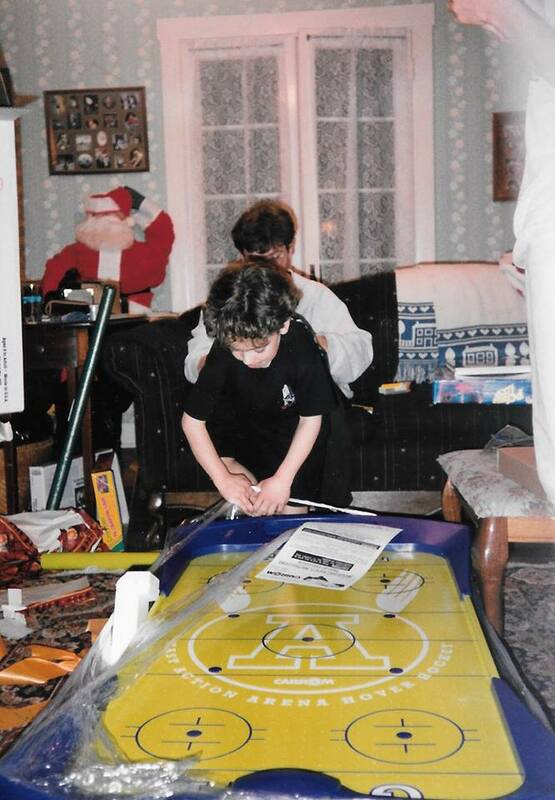 Here is Jeffrey with his favorite present, an infamous air hockey table. Here is a picture of me, Jeffrey and Michelle, looking pretty happy.